Please stipulate colour choice when ordering. 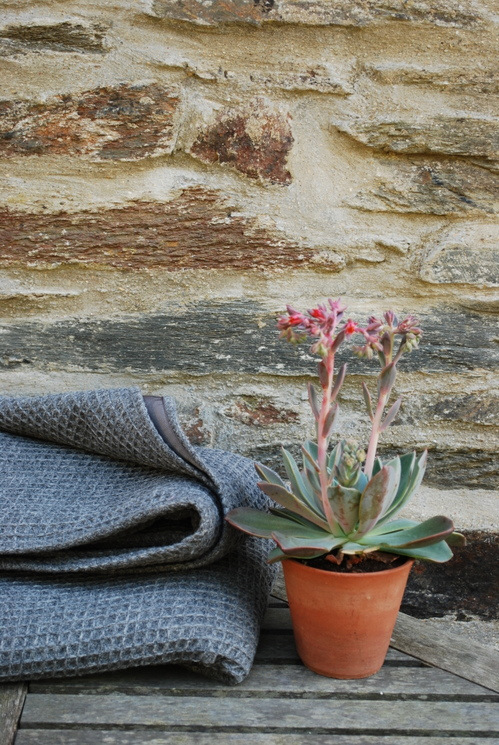 Made using woollen fabric woven in West Wales on a traditional weaving loom. The techniques, the machinery and the raw materials used has been unchanged for hundreds of years. 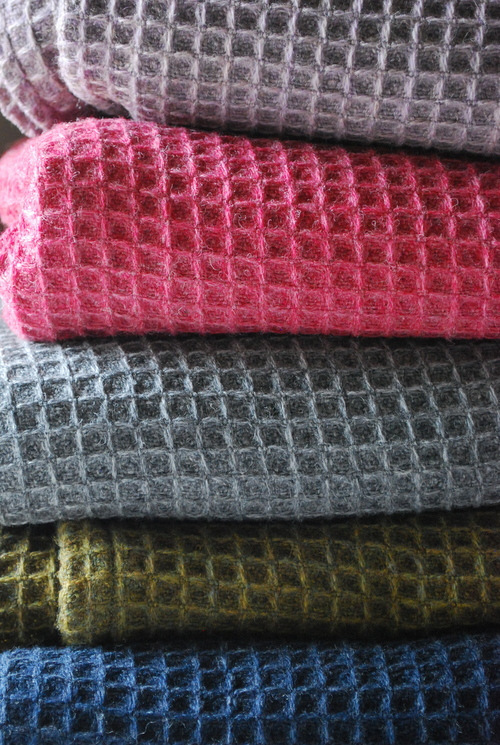 This type of weave that was traditionally used as bed blanket. Its deep honey comb like texture when sandwiched between sheets and other blankets allows warm air to trap within the layers, helping protect from cold winter elements. 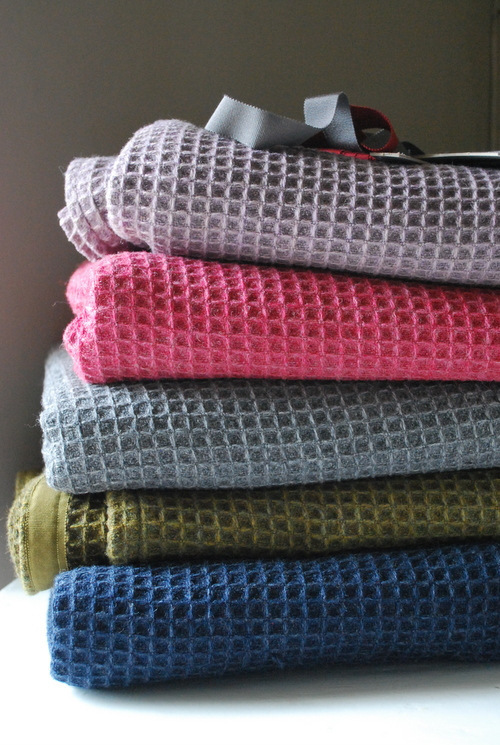 This blankets are also great when used in warmer weather too. Their light weight means that when when used singly , body heat can escape whilst still being able to be comfy and snug. 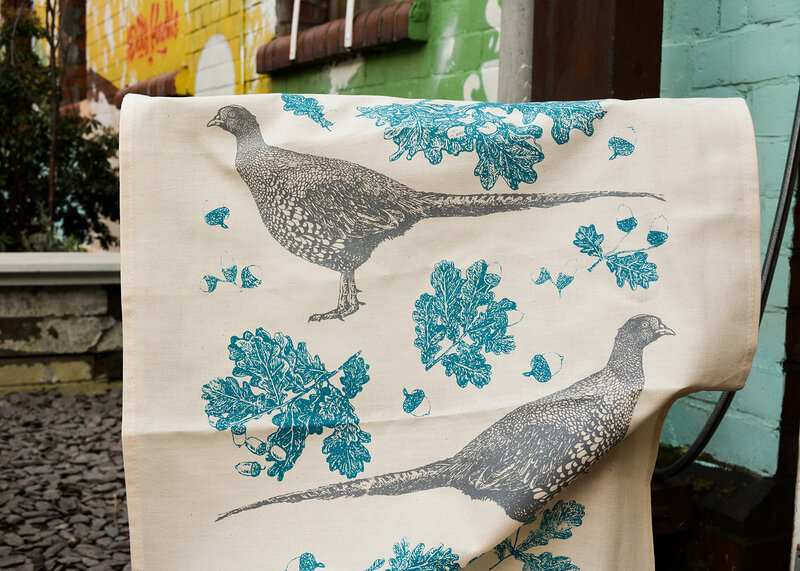 This fabric has pedigree in its past, provenance in is manufacture and a future in modern home styling. With this product you can bring a small piece of Welsh heritage to your own interior style. The waffle fabric is perfect for adding depth and dimension to the layered look. Proving so popular we have sold out of some colours completely.